Local sponsorships are not yet scalable in the same vein as online advertising; there are not networks where businesses can bid on sponsorships of the community center’s summer program. Plus, based on our experience with local nonprofit leaders, organizations aren’t eager for such a platform; nonprofits often want to interact with their potential donors before establishing a relationship. And yet – the lack of a communal system does not mean that some standards wouldn’t be welcomed. We see the back-and-forth when it comes to asset exchanges. Having assets prepped before launching a local sponsorship campaign will save your team time and hassle later on. 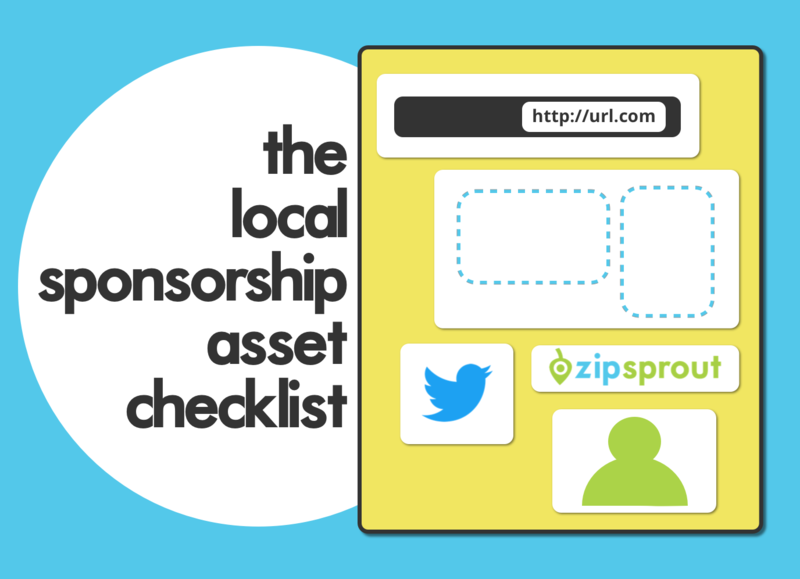 Below you’ll find a checklist of commonly requested assets for local sponsorship campaigns. If your standard logo is not square – if it’s more horizontal or more vertical – it’s advised to provide a secondary square logo for organizations who cannot use a heavily horizontal or vertical asset for every content piece. 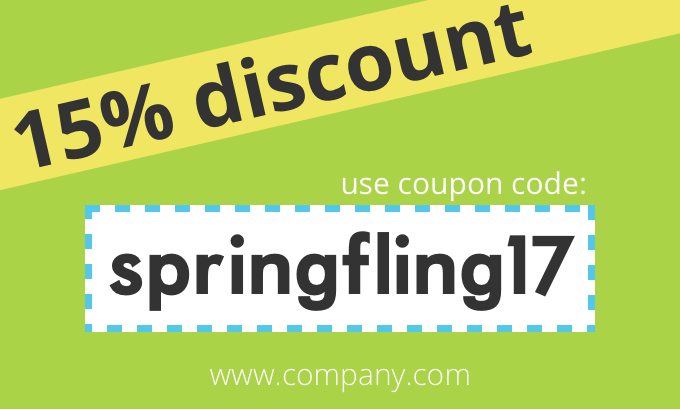 If your business can generate and accept coupon codes, we recommend creating unique codes for each local organization, and asking them to share codes with their email subscribers and social media followers. This is a great way to further incentivize an organization’s organic audience to engage with your product, and it also helps attribution afterward. Attending the event, or have the option to send swag? Create postcards with coupon codes to hand out. Some local organizations offer the opportunity for a business ad in a print program or newsletter. Ad specs for these placements can vary widely, so we recommend having horizontal and vertical print ads on-hand, with a space for editable coupon codes, that can be easily re-sized. For print, convert color to CMYK, deliver via jpg, eps, psd and/or pdf. Many organizations link out to sponsors from their web pages and/or social media pages. We recommend, at least, providing the correct link to the home page of your businesses to every organization you sponsor. But better yet – go local! Some assets cannot be standardized. Businesses who want to get personal may have custom social media messages or blog posts for each local organization. And while the content cannot be created ahead of time, the process can be. If you know that your team wants to customize each local organization’s campaign, make sure to work with an in-house copywriter, to ensure that she makes time for custom content creation. Specific content needs may not be known until sponsorships are solidified. But give your content and/or PR team a heads up on the project, and and them to anticipate some upcoming work. This will save time later on. Many local organizations request a company slogan or brief description, sometimes even before the accept a sponsorship. We often find the best description is a brand’s existing Facebook “about” line. But if that phrase isn’t working for you, we recommend a 1-2 sentence description of your product or service, and the problem you solve. While this is more of an “asset received” than an “asset sent,” but we find that many events offer free tickets to sponsors. If you’re a local company, this can be a great employee reward (“Employee of the month gets free tickets to the beer festival!”). If you don’t have local employees, local customers, or brand super-users, can also be excellent beneficiaries. Don’t know who your super-users are? Ask your social media and customer support teams. Creation at scale begets a need for organization at scale. At ZipSprout, we’re working on a free tool to store and share assets with organizations. Interested in trying it out? Contact us at hello@zipsprout.com (just put “asset management tool, pls” in the subject line). Until then, we recommend a nice old-fashioned spreadsheet, like the example below. Click here to view the spreadsheet and make a copy for your team.